At a rest stop just outside of Portland, OR, on our way to Olympia, WA, for the Cascade Pembroke Welsh Corgi Club's annual specialty show. 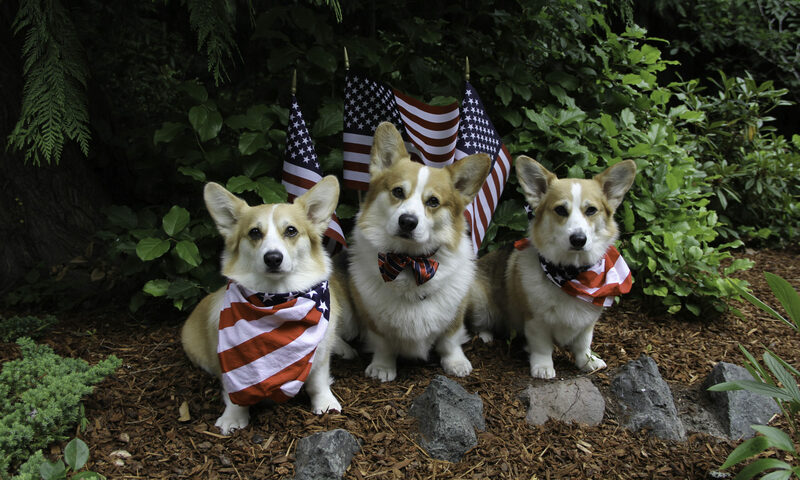 I have my girls with me, Chloe and Darby. 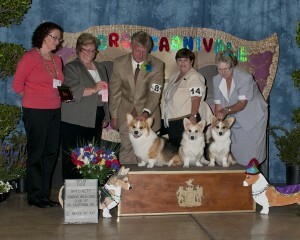 Here are some puppies by Dolly (CH Larklain Cals Just Elegance) and Parker (CH Misty Ridge Rumblestiltskin). They had five girls and three boys on Monday, July 9, 2012. They are healthy, active and beautiful… Dolly is being a great mom, she's wonderful with the puppies. 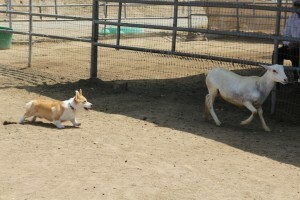 My “real” Dad is CH Woodbine Flashy Alibi, everybody calls him “Dash”. 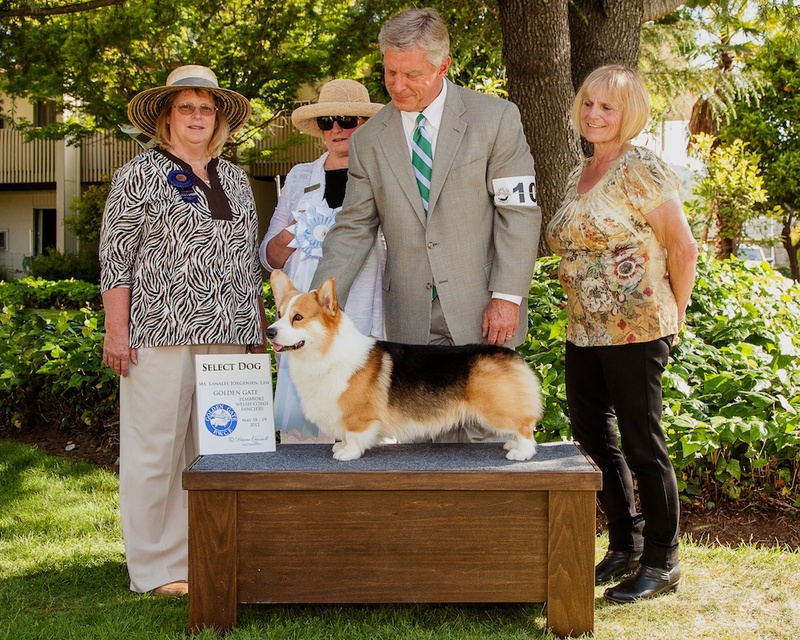 He was just awarded a ROMX from the Pembroke Welsh Corgi Club of America because 16 of his children have become AKC Champions… and I'm one of them. 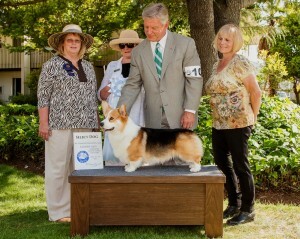 He has sired some of the top Corgis in the nation, and from the looks of it, there are more on the way. 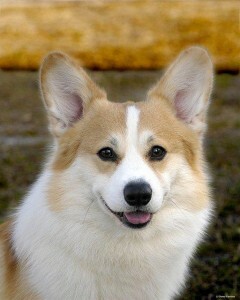 He was bred by and is owned by Elizabeth Sessions. Here’s a link to the Pembroke Welsh Corgi Club of Southern California’s page from our annual Specialty show. 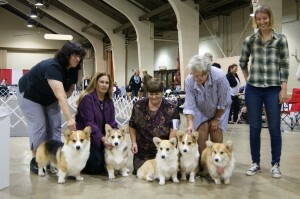 A specialty is a show with dogs all from one particular breed. Two of my puppies and I won the Stud Dog class at our show. 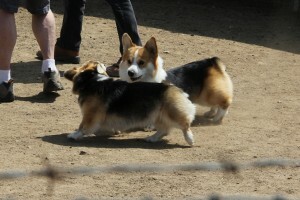 You can see Chrissy and Shelby with me. Here’s Dad’s link to all the photos and results. 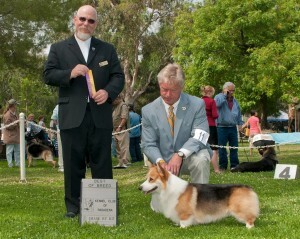 Dad took Chloe and me to the Pembroke Welsh Corgi Club of Southern California's annual Herding Instinct Test. What fun… we had a great time! 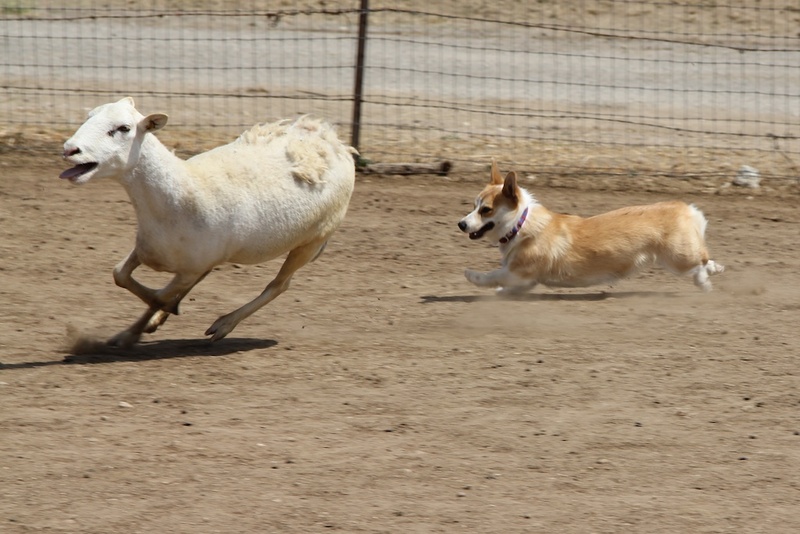 …I was actually moving sheep! 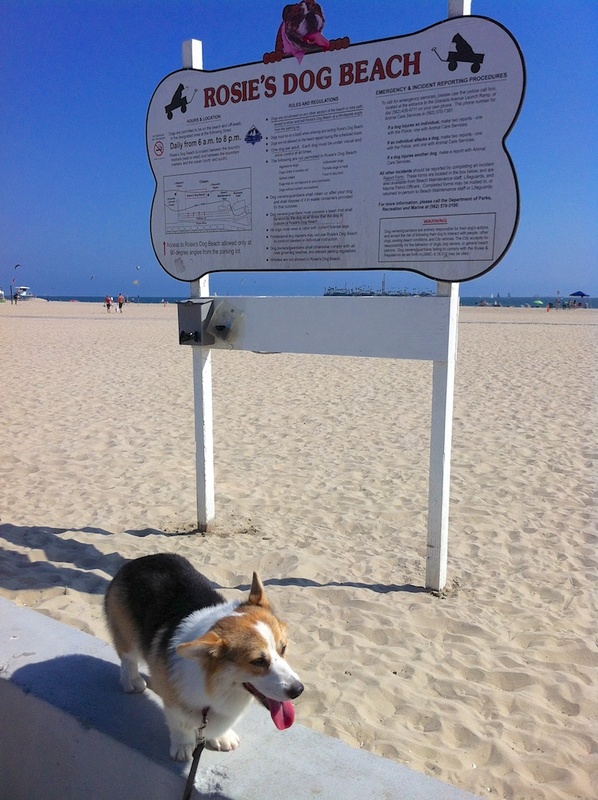 …she was so excited, she just kept barking! 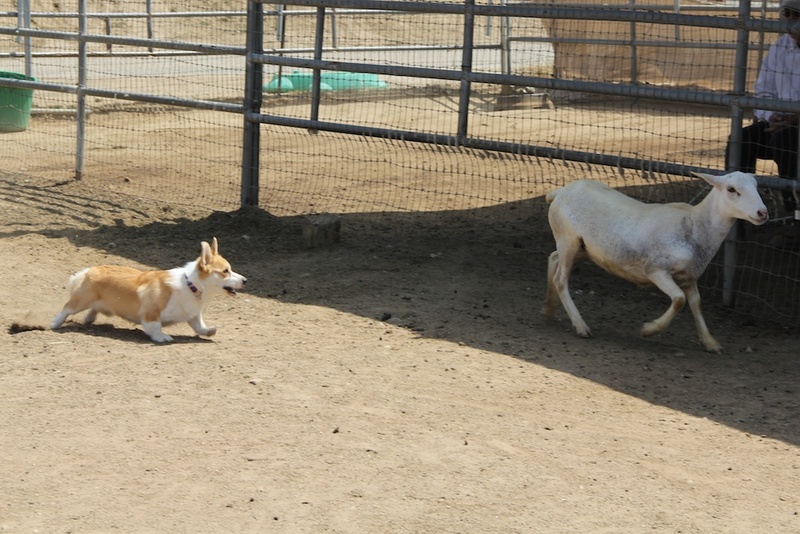 Now that we have our Herding Instinct Certification… we both want to do it again. 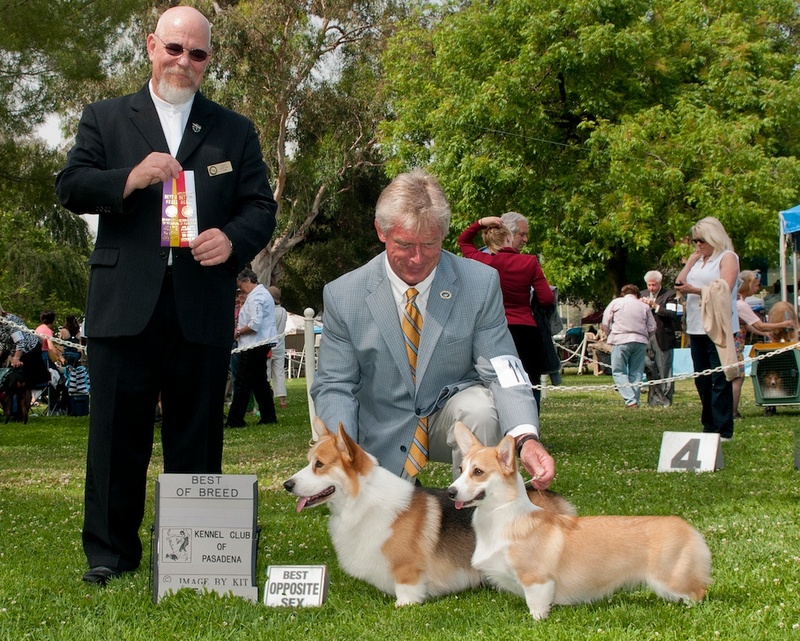 At the Mission Circuit dog shows in Pomona last month, I got to see a lot of my puppies… and a lot of them did well at the Mission Circuit and the So Cal Specialty. 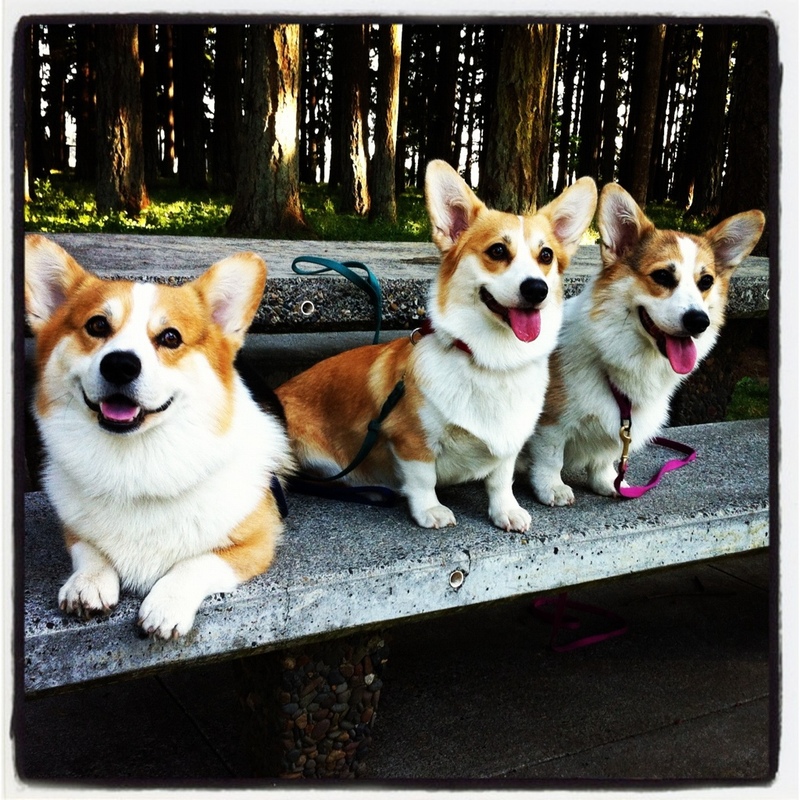 That's me on the left, next is Riley, Chrissy, Shelby and then Ghibli. Mom is holding me, Linda is holding Riley, their breeder, Robin Jones (Desprado) is holding Chrissy, Chris is holding Shelby and Megan has Ghibli. 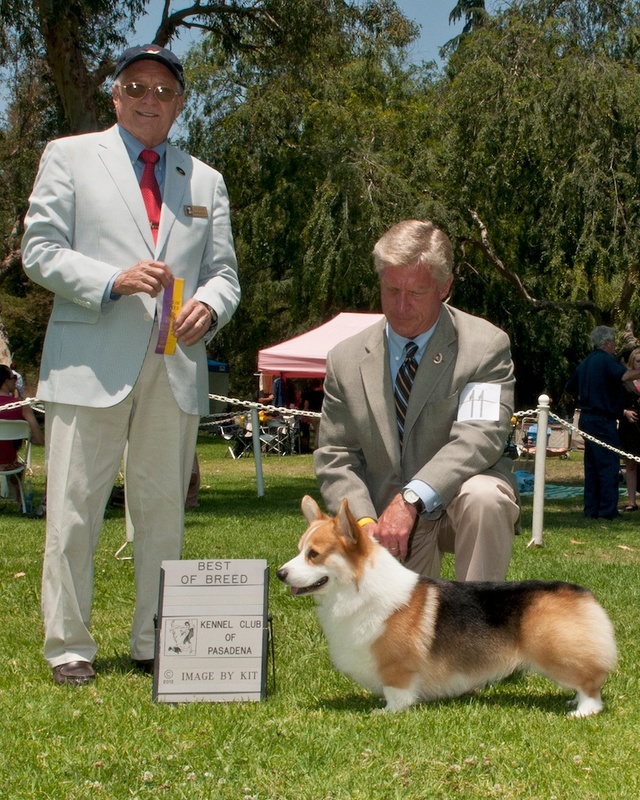 I got Best of Breed both days in Pasadena, at the Pasadena Kennel Club shows. 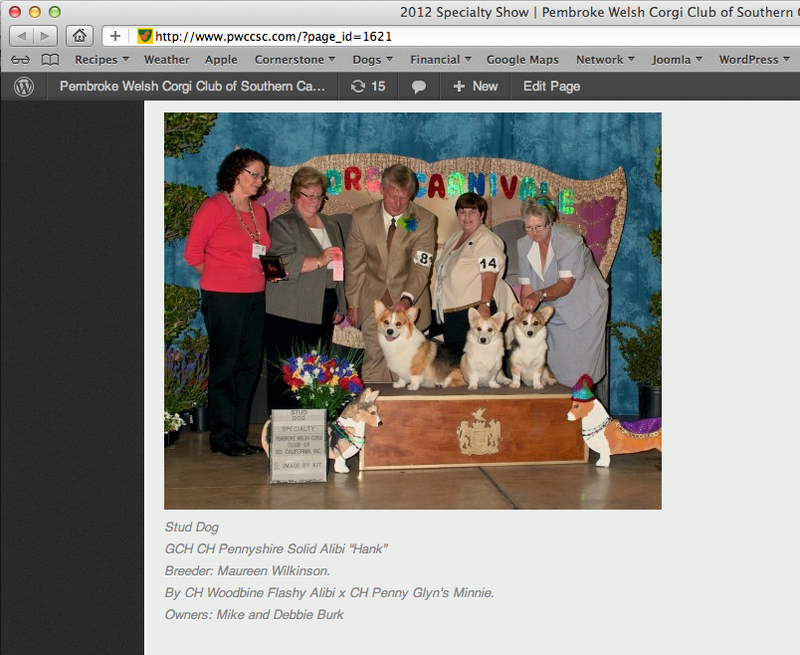 And my little girl Chloe got Best Opposite on Saturday… what fun! I won Select Dog at the Golden Gate Pembroke Welsh Corgi Fanciers' 2012 Specialty Show. I love this show, Dad and Mom think it's a lot of fun and they like the people. I like just being able to hang out on the grass and be with everybody and not stuck in my crate in a hotel room. 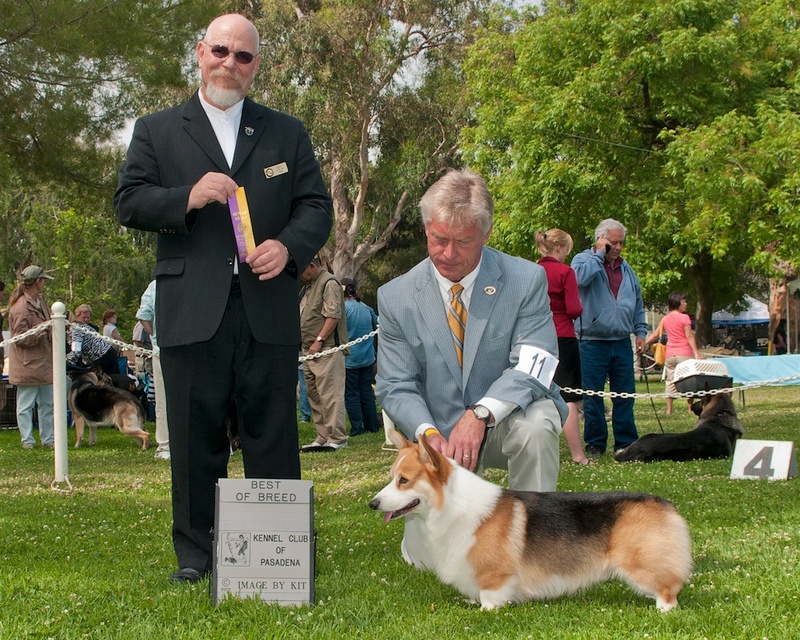 I won the “Stud Dog” Class at the Pembroke Welsh Corgi Club of Southern California's annual Specialty show this week in Pomona, CA. 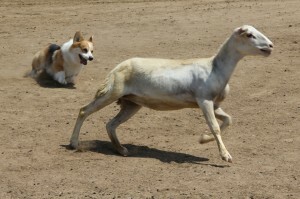 These are my girls, Chrissy and Shelby. 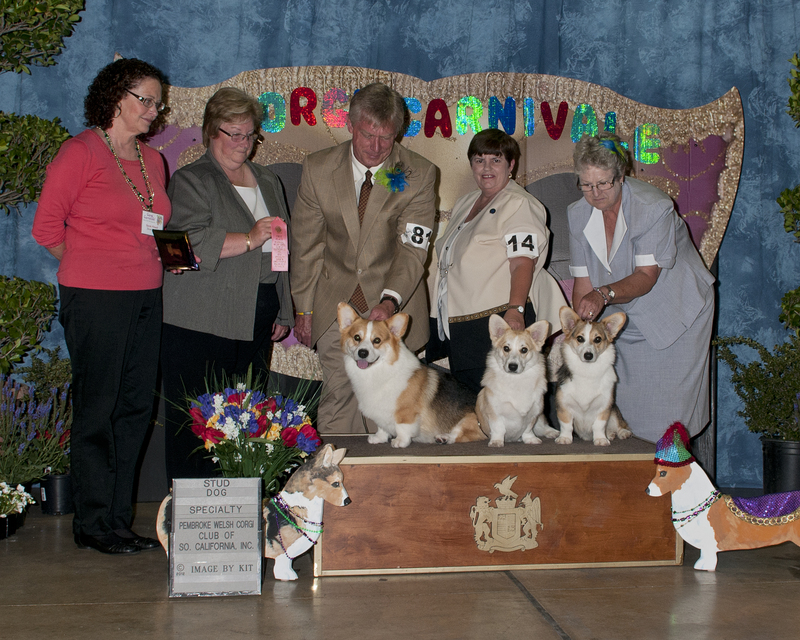 Chrissy is with their breeder, Robin Jones (Desprado Corgis) and Shelby is with her Mom, Chris Gunderson.